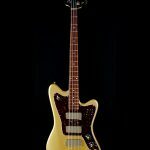 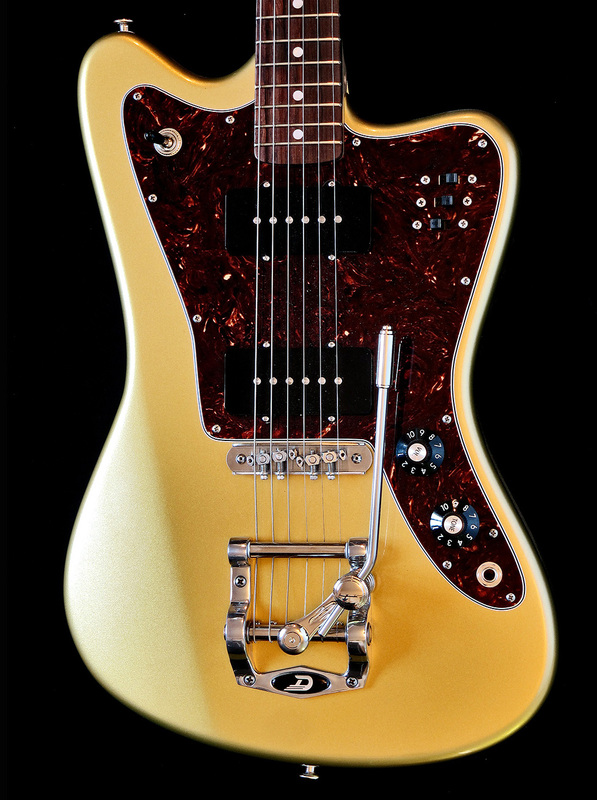 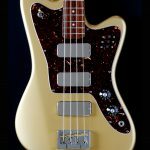 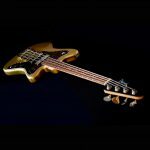 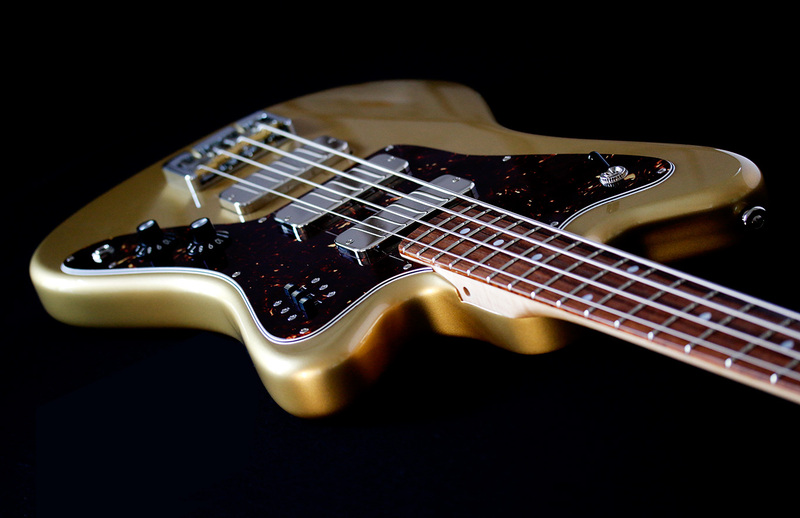 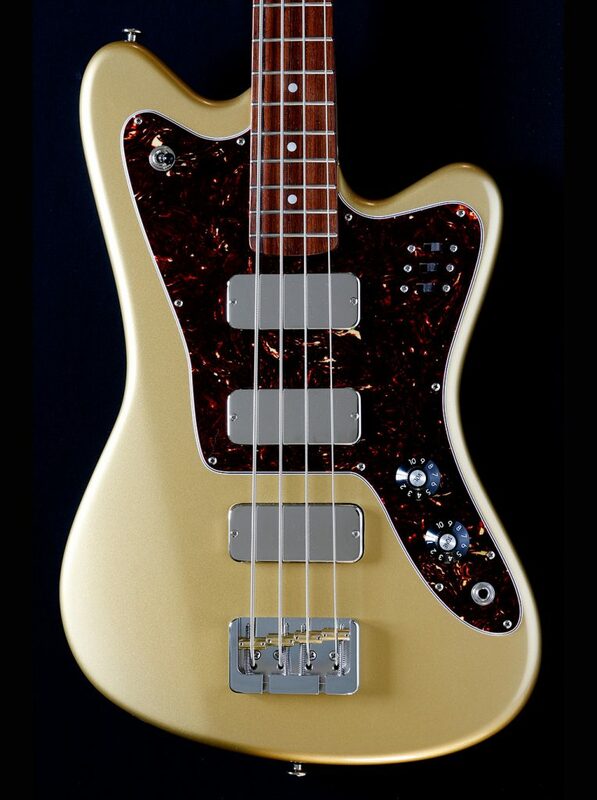 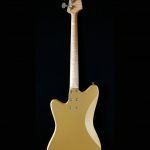 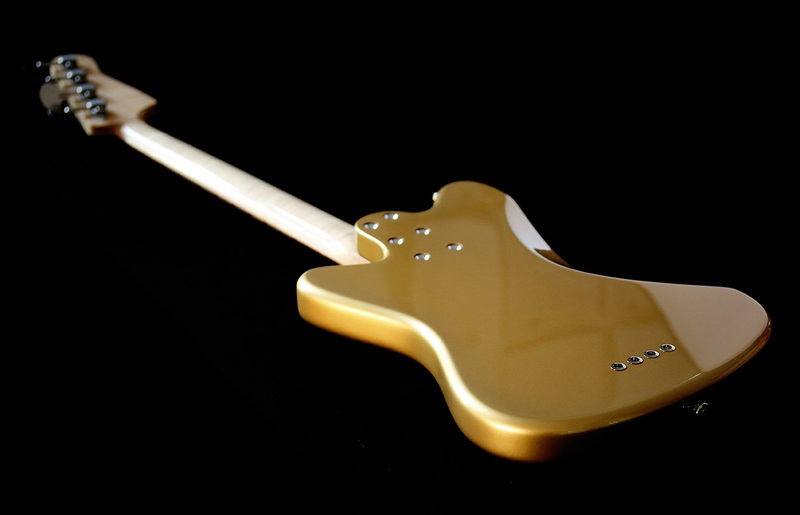 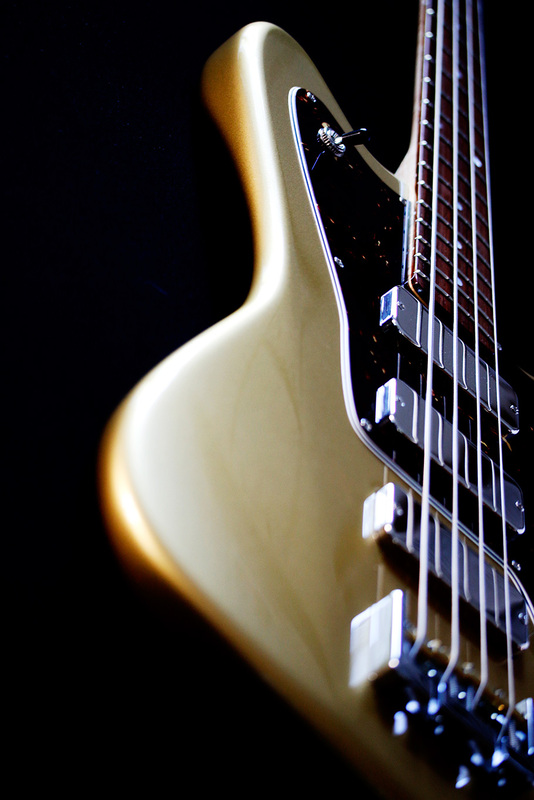 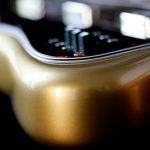 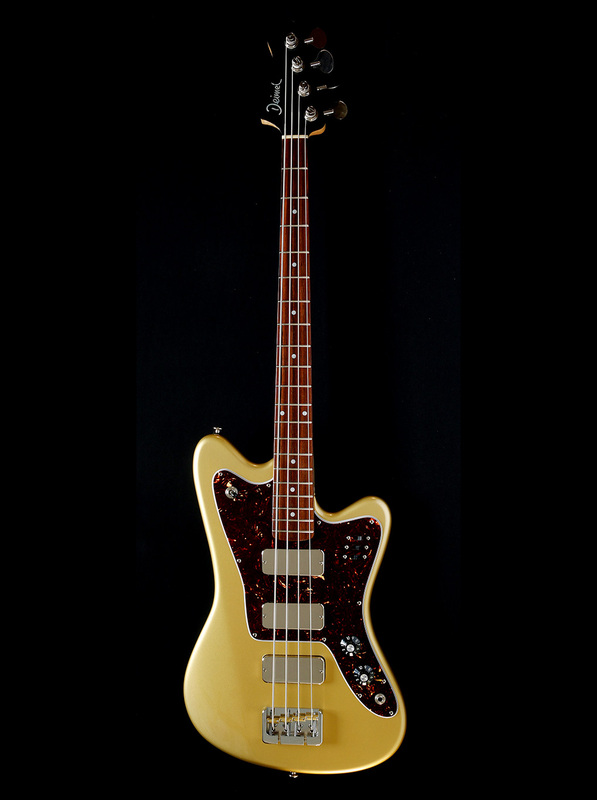 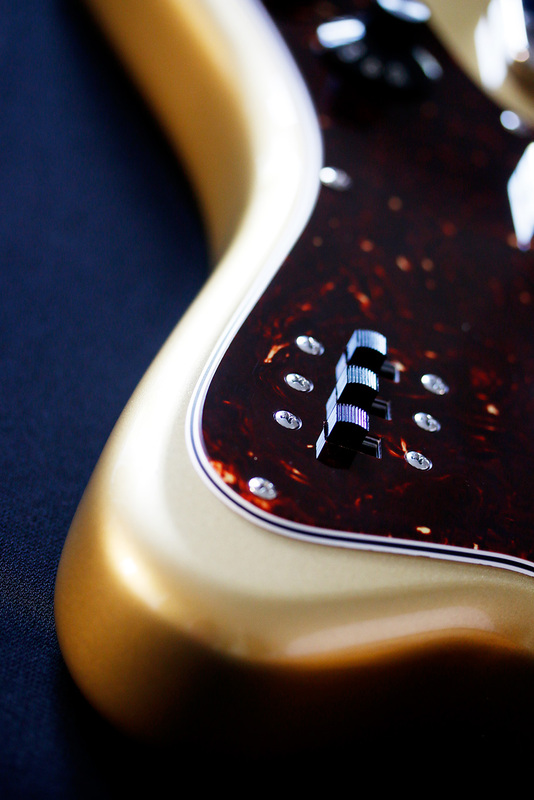 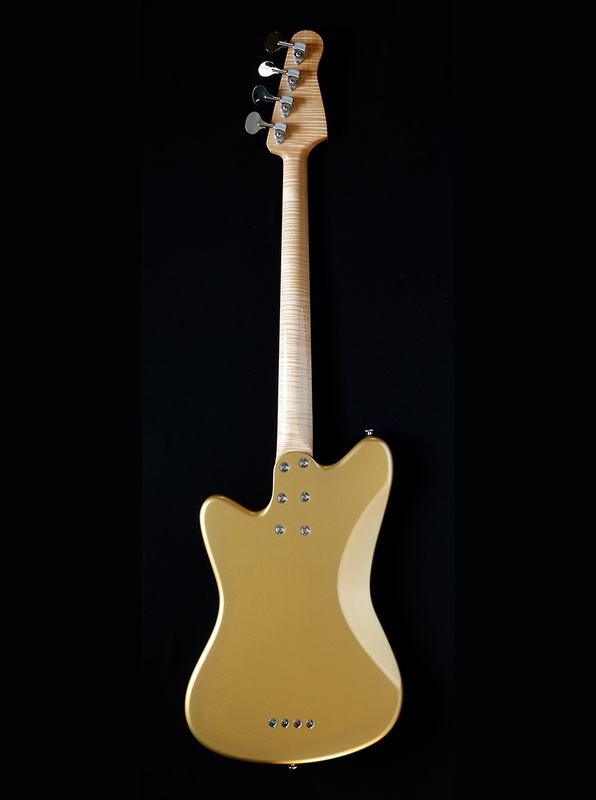 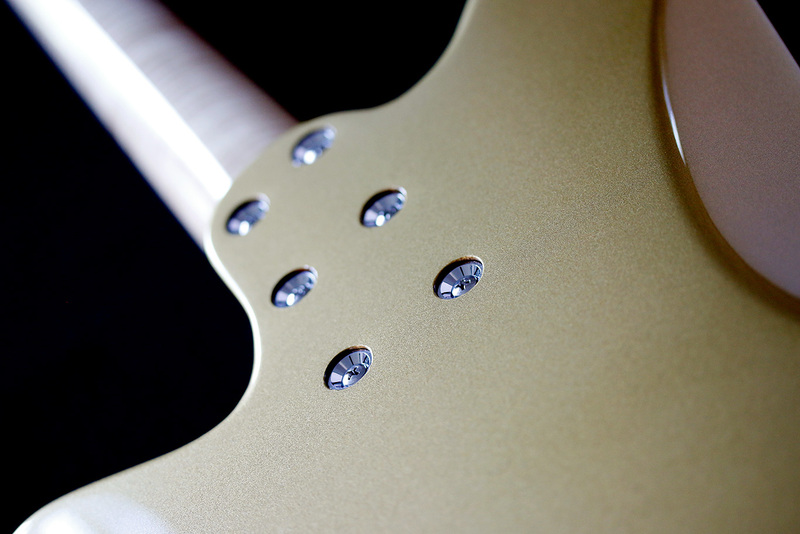 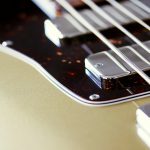 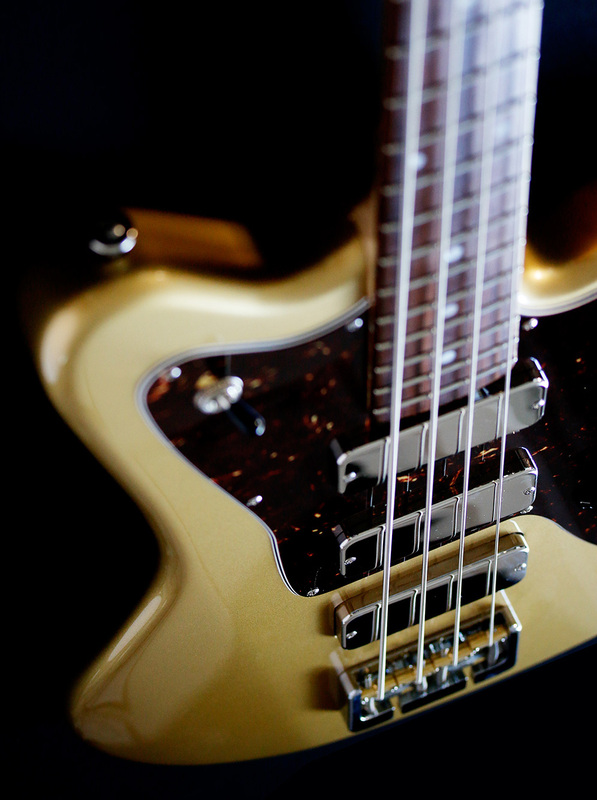 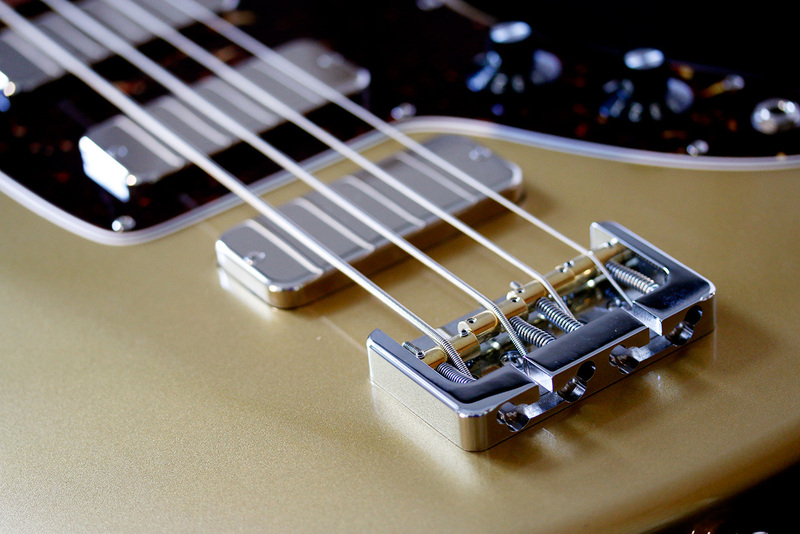 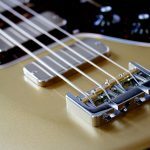 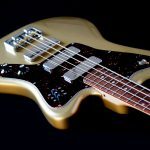 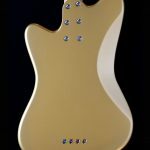 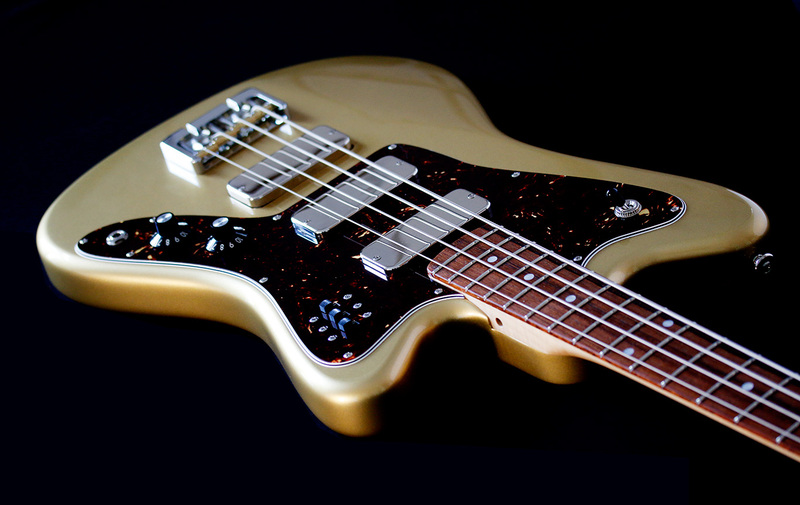 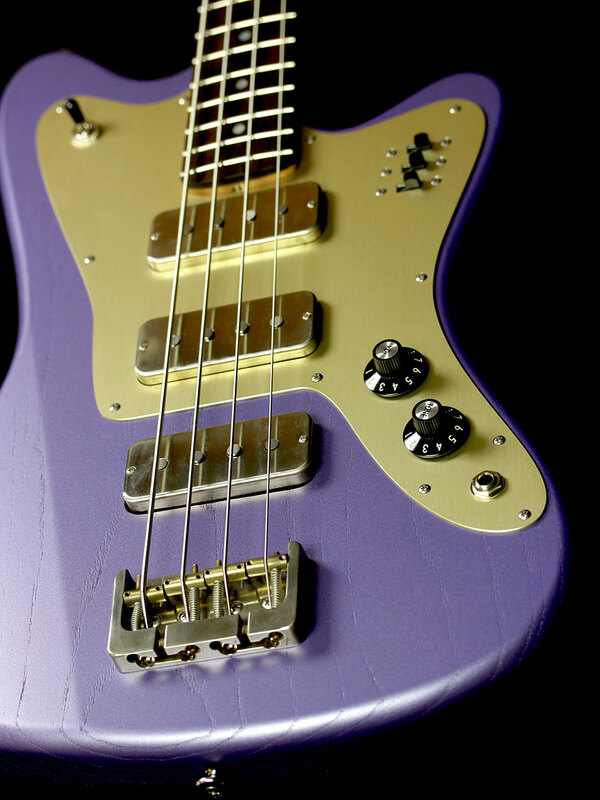 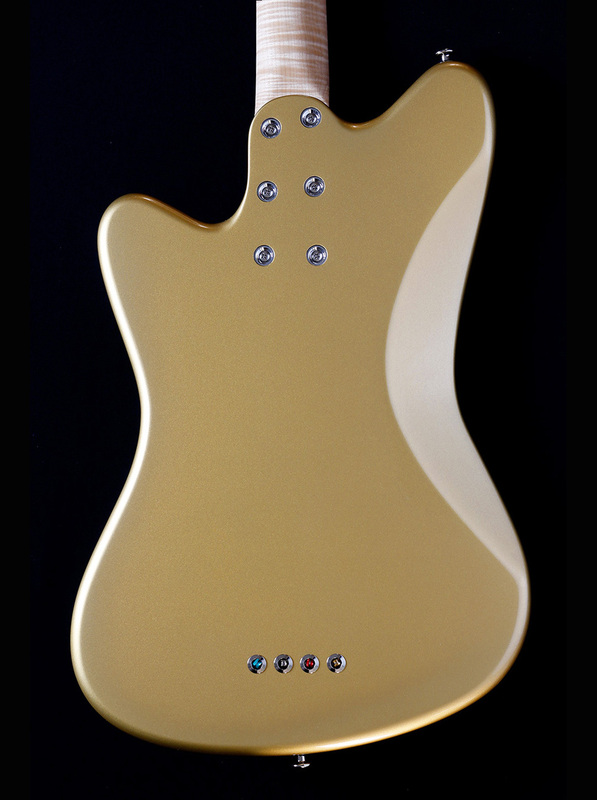 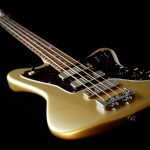 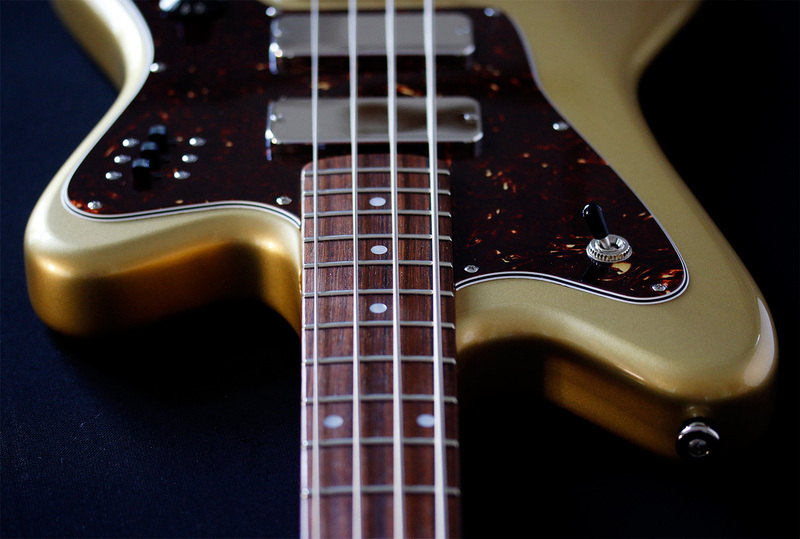 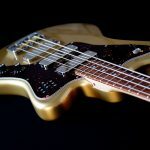 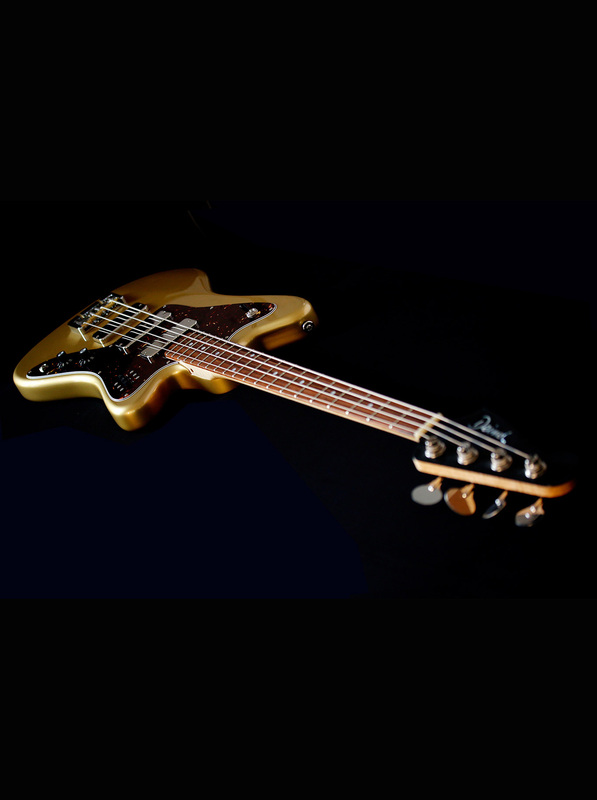 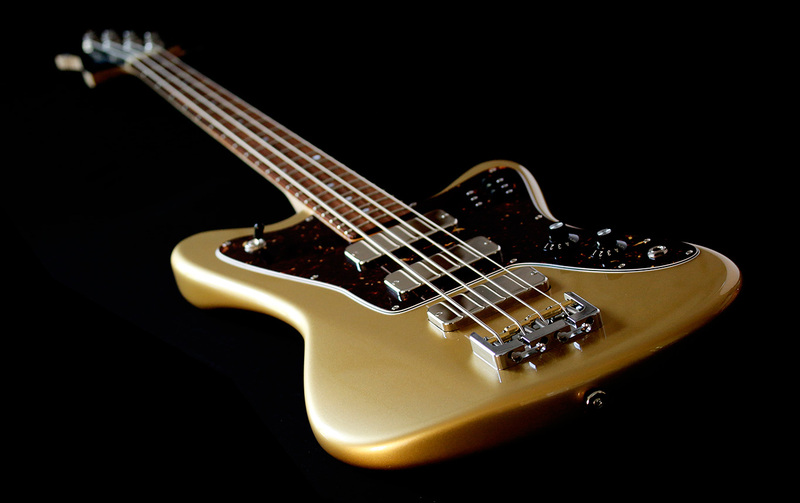 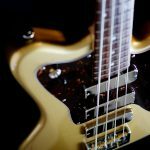 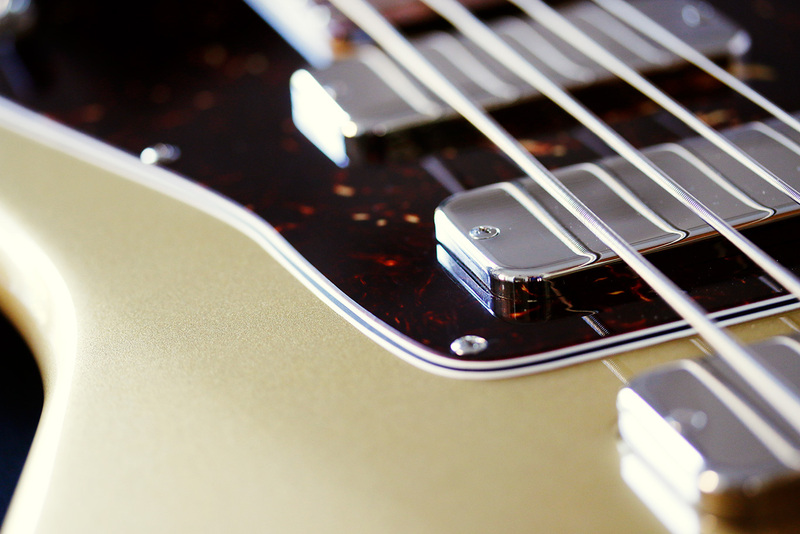 Based on a mahogany body finished in »Mars Gold« in combination with a real tortoise celluloid pickguard, this Firestar Bass features three Lollar Thunderbird pickups in chrome. 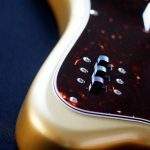 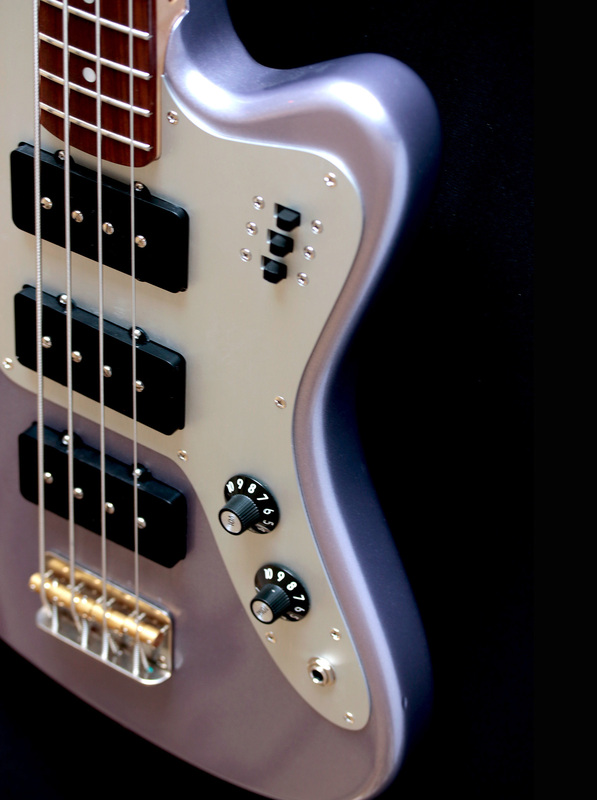 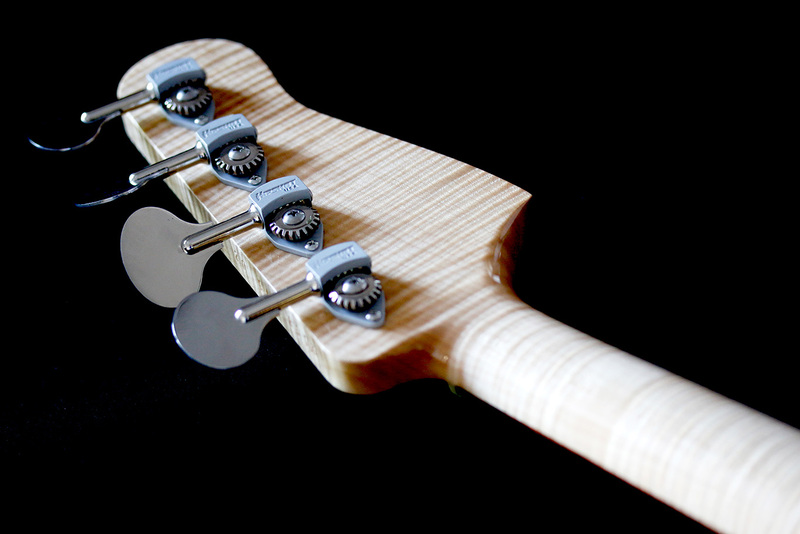 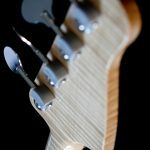 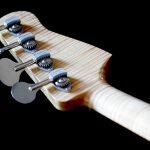 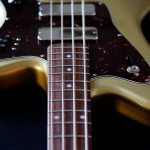 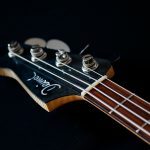 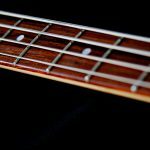 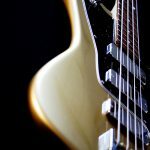 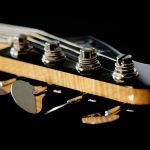 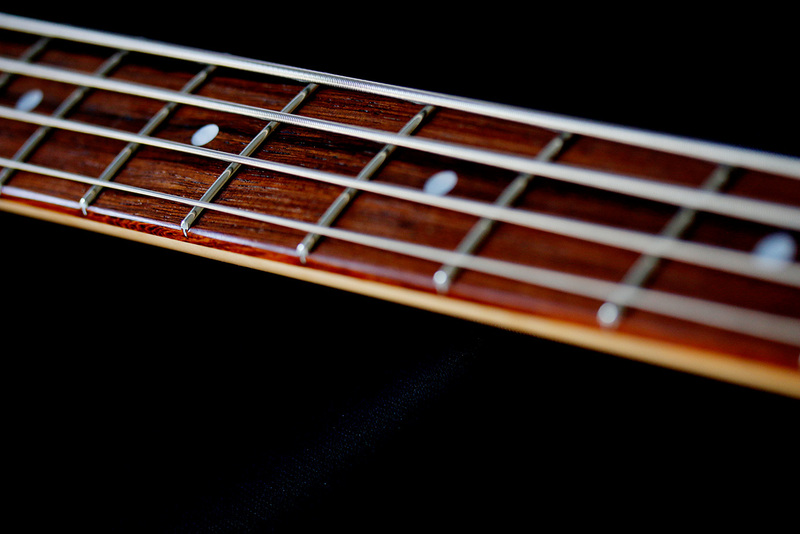 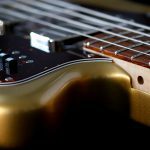 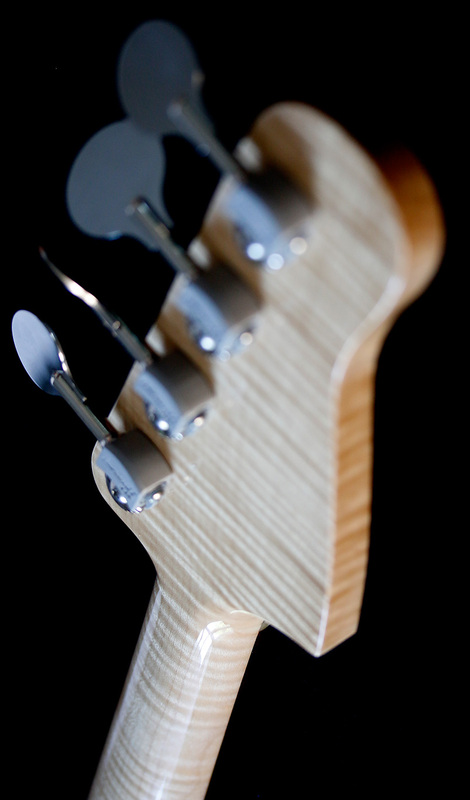 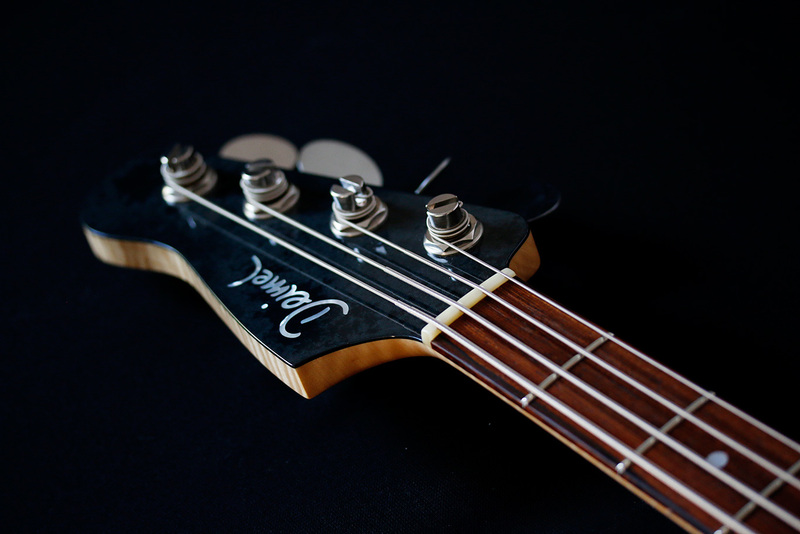 This bass delivers all the warm goods of three bass humbuckers on mahogany with the attack of a bolt on figured maple neck with rosewood fretboard. 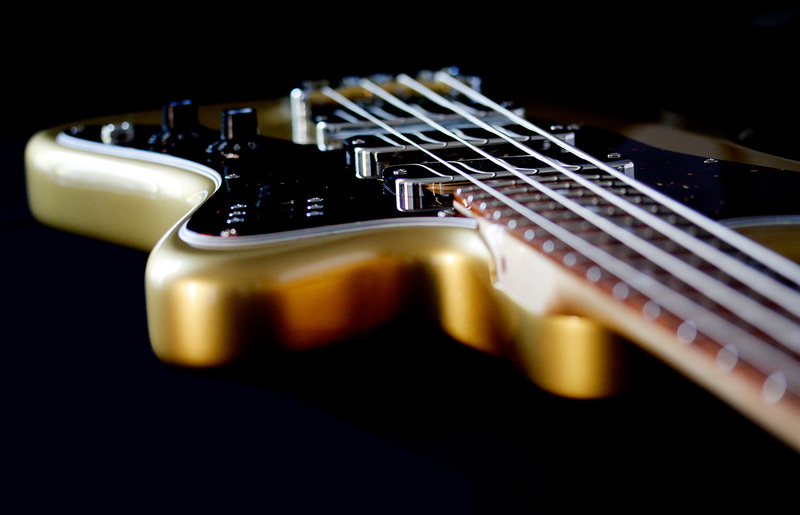 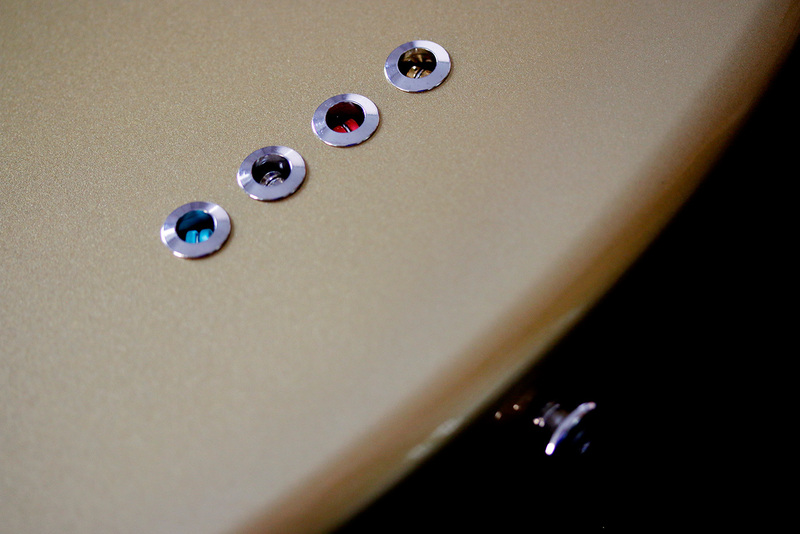 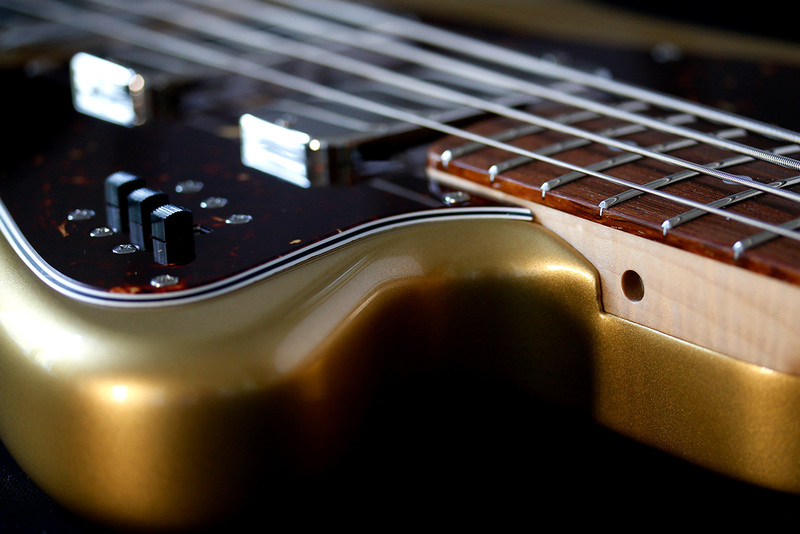 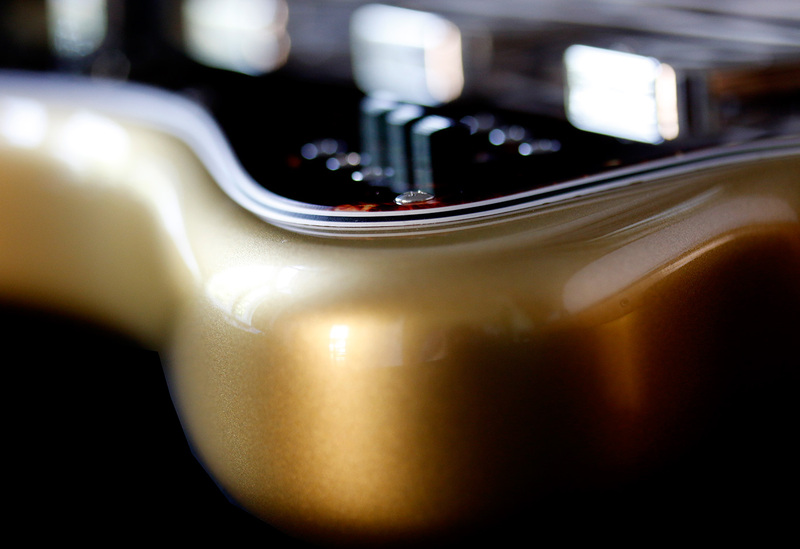 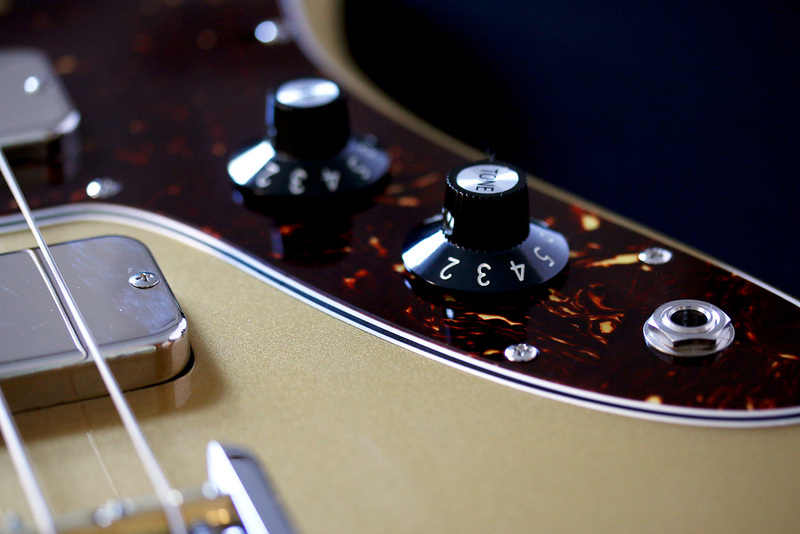 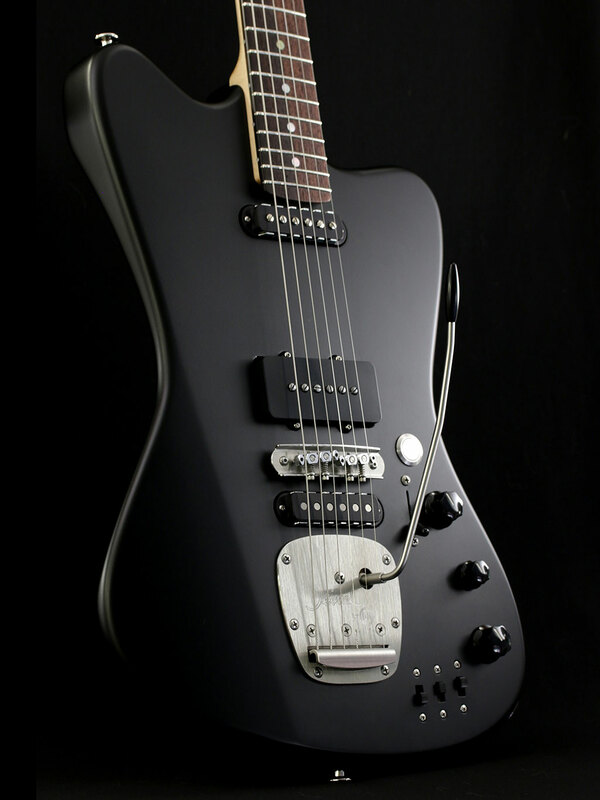 It has all the features of our regular 3 pickup electronic circuit: piezo pickup, middle pickup on /off, surf switch. 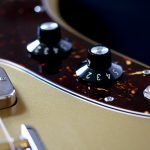 Especially to mention is the middle pickup switched on: Just turn down the volume, and the only thing you hear is the middle pickup, whatever you have dialed in before! 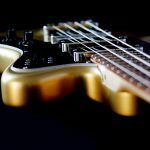 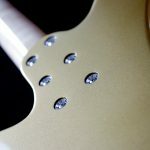 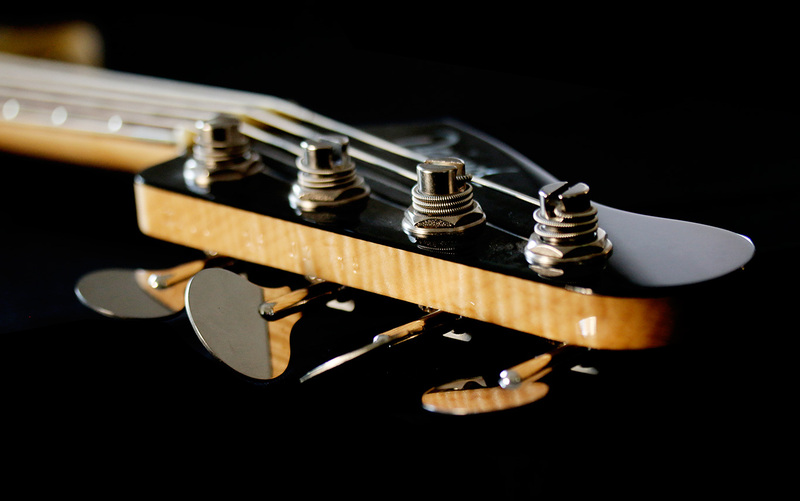 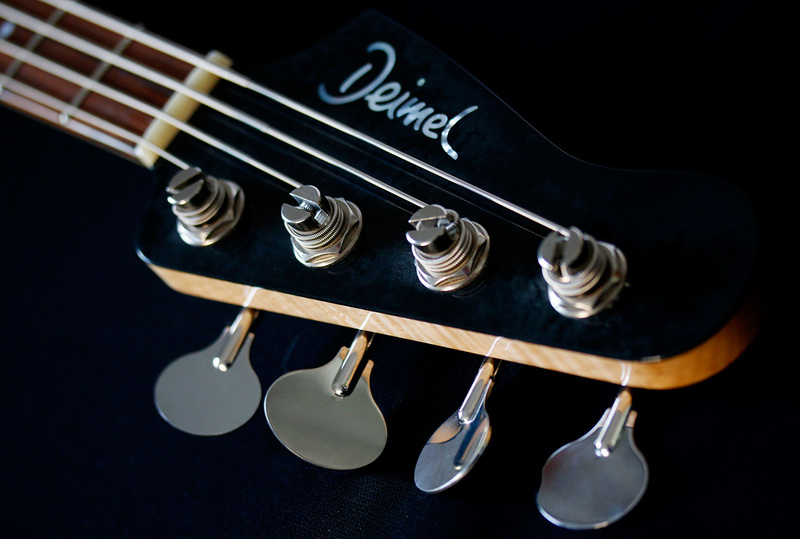 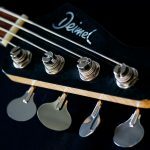 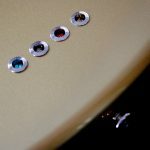 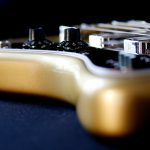 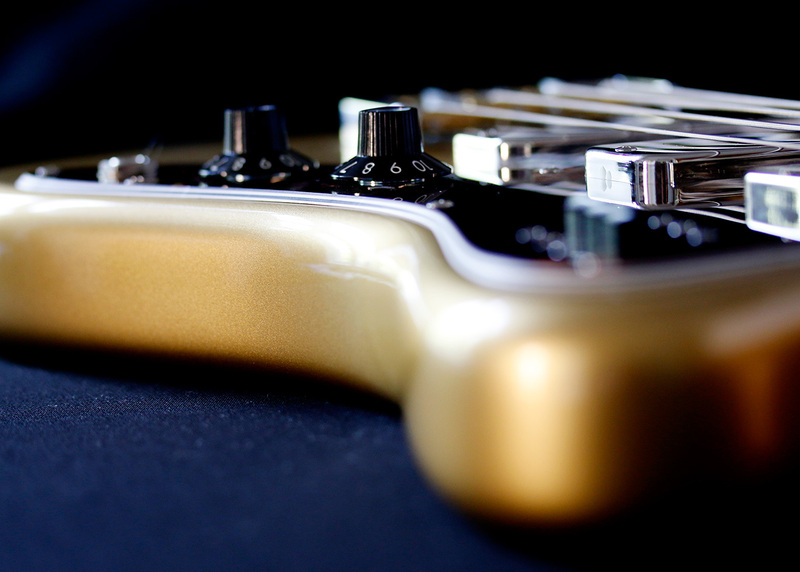 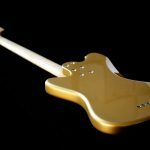 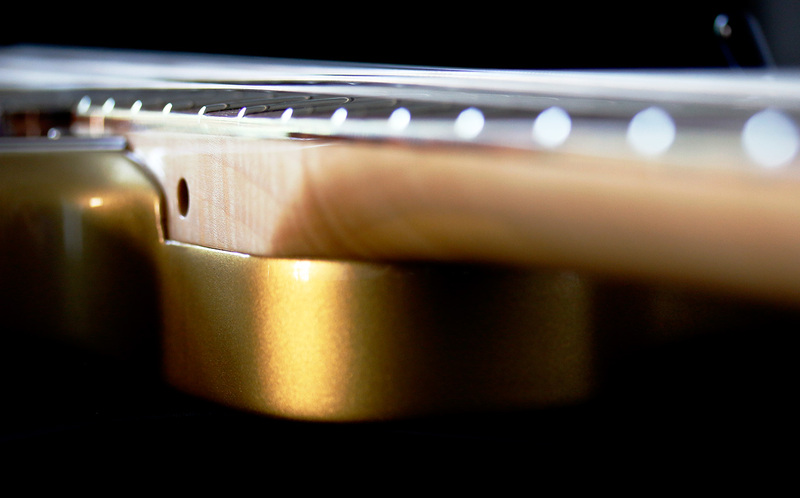 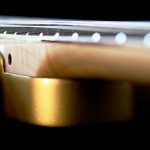 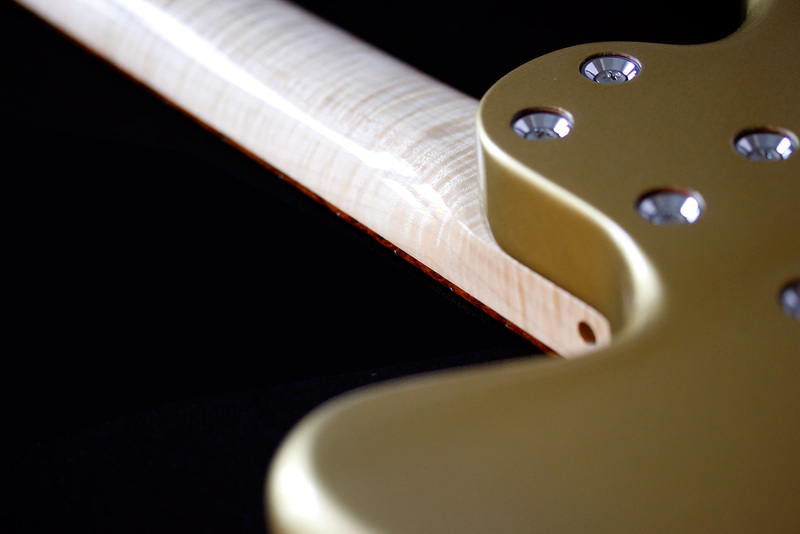 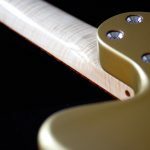 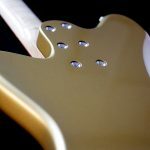 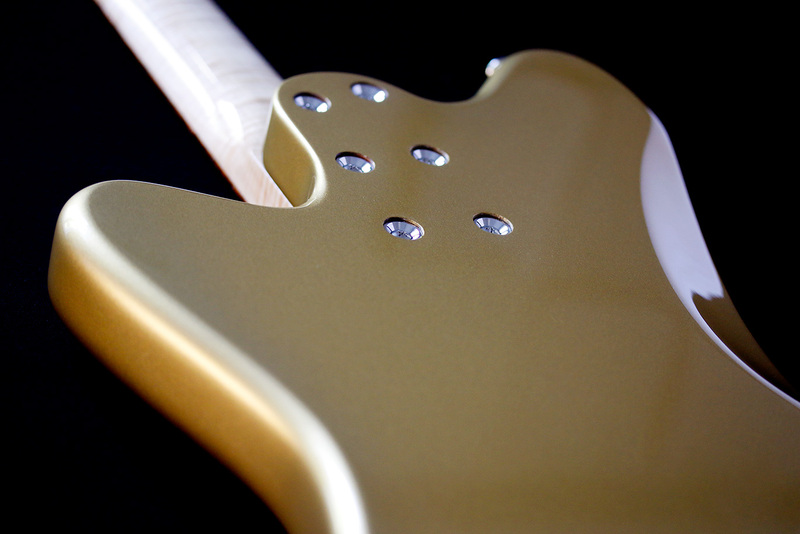 Last but not least we finally have found the ultimate Hipshot bridge, which is being custom made for Deimel Guitarworks in nickel plated aluminum with raw brass saddles.